Art & Cultural Events List: Join us! Miller Street Open Studios 2017! Join us! Miller Street Open Studios 2017! We are excited to share with you our upcoming biannual open studios at Somerville's Miller Street studios. Below you will find our press release and link to our website, event and artist biographies. We would be honored to have our event featured in your publication. Somerville, March 31 - April 2nd, 2017: Miller Street Open Studios is pleased to present its bi-annual 3 day event. All are welcome to join us for our open studios event! Peruse and purchase local works of art and meet the creatives behind 11 Miller Street. This year’s event is bigger and better than ever, showcasing works from 38 members and 4 visiting artists. 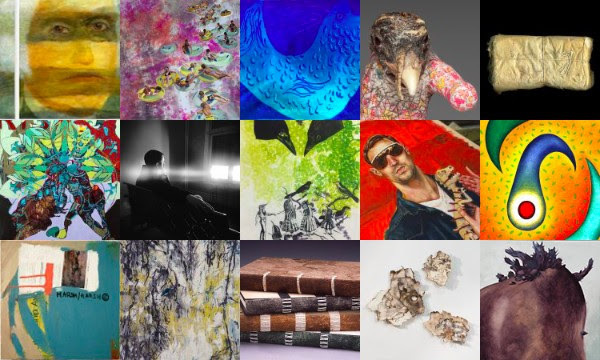 Mediums include drawing, painting, printmaking, artist books, book binding and conservation, photography, animation, kinetic and interactive art, installation, textiles, quilting, ceramics, glass, and mixed media. The event gets started with Miller Street’s traditional After Dark Friday night kick off party. Participating members will open their doors Friday evening, March 31st from 5-10pm. Artists will be joined by musical guests - renowned saxophonist and composer Ken Field & Friends. This night of art, music and refreshments is not to be missed! Following Friday’s launch, open studios will continue through the weekend. Beginning Saturday, April 1st at noon, studios will be open to the public through 5pm, repeating again on Sunday. Copyright © 2017 Miller Street Artist Studios, All rights reserved.